Other than the usual, there are plenty of other meats to use when recreating classic recipes such as roast and Peperonata. With game meat, you’ll get to experience a new level of flavours that are sure to please your taste buds. “High heat and sweet bell peppers”, says an old Italian Peperonata recipe. Today, because the recipe is so versatile, it has drastically customised to the preferences of people around the world and consists of more than just a variety of peppers. Therefore, it is no surprise how meat such as pheasant has been added to the ingredients list. 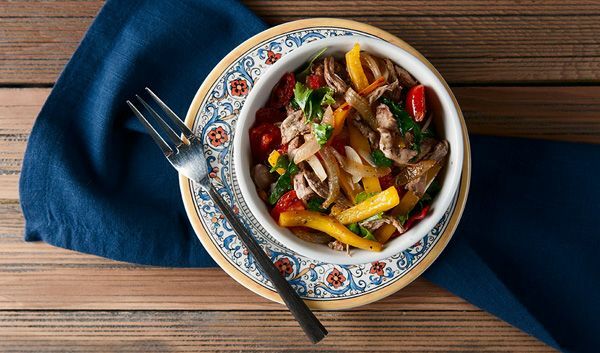 Try your hand at this Italian classic, as you are sure to enjoy the delicious outcome. 1/4 cup chopped parsley or basil. Once your pheasant broth comes to a simmer, add the pheasant breasts and cover pot with a lid. Allow the pheasant to cook for 20 minutes. Once your pheasant has been cooked, allow it to cool. Chop or shred the pheasant meat. Add olive oil to a sauté’ pan (preferably large) and turn the heat to a high temperature. Once the pan begins to smoke, add all vegetables and stir for a minute. Add wine to the mix and use a wooden spoon to scrape the browned flavour at the bottom of the pan. Turn off the heat and add pheasant meat. Are you looking for a new way to make wings? Save up the drumettes and wings from all your birds, such as mallards, pintails and redheads. You’ll need at least 20 of these pieces for a complete meal. 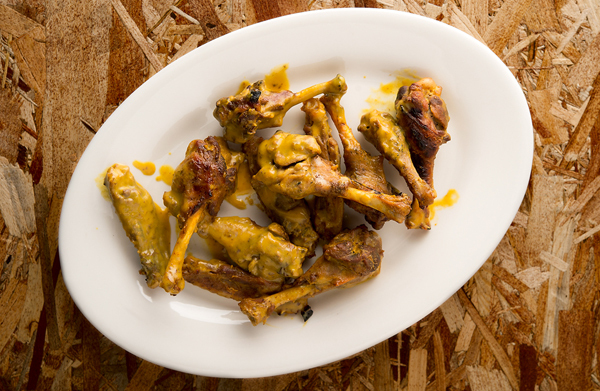 The main objective is to braise the wings until they are tender – so tender they begin to fall off the bone. Cayenne and black pepper to taste. Place wings and broth in a heavy-lidded pot. Ensure that the broth is covering the wings. If not, add water. Bring the broth to a light simmer and then gently cook until the meat is tender, which is usually two to three hours. While the wings are cooking, mix all the other ingredients together to create a sauce. Add the sauce ingredients to a small pot and boil until it simmers. Once it simmers, turn the heat off. Once the wings are ready, place them in a bowl and finally, add the sauce. Mix the wings in the sauce well before placing it in a preheated oven of 219 degrees Celsius. Bake the wings for 15 minutes before turning them over and repeating. Toss off remaining sauce, and it is ready to serve. Anything deep-fried is comforting. Since the meat texture of rabbit is similar to that of chicken, it only makes sense to deep fry rabbit as well. While the taste of rabbit may taste different to chicken, it still serves as a great replacement. 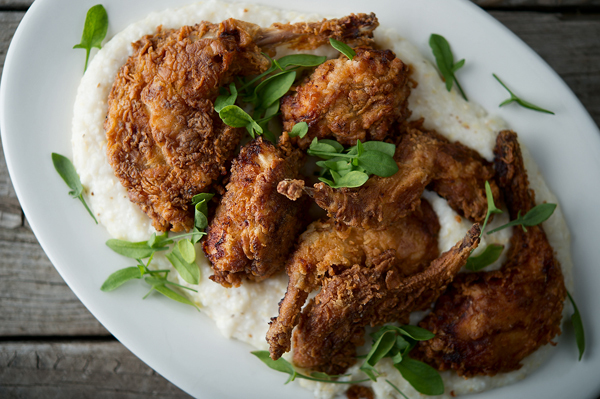 Serve this dish with grits, coleslaw or potato salad. Excluding the salt and flour, mix the buttermilk with all the spices. Place the raw rabbit pieces to the mixture in a container for eight hours or overnight. Add oil to a frying pan until it is approximately 26 millimetres high, which will be enough to cover the meat halfway. The heat should be medium-high. Drain the rabbit of the buttermilk mixture, preferably using a colander. Try not to shake off the buttermilk. Pour flour and salt into a bag and mix the two ingredients. Add the meat pieces to the bag. Shake the bag to coat the meat fully. Once the oil reaches round about 163 degrees Celsius, add the pieces of meat to the hot pan and watch as it sizzles. Fry the pieces of rabbit for about 8 to 12 minutes on each side. Wait until the colour of the rabbit turns golden brown. Once the rabbit is fried, let it rest on a sheet of paper towel to drain excess oil. While raising pigeons is an art in Egypt, it is in the Middle East where most of the great pigeon recipes originate, one of them being Turkish roast pigeon with bulgur. As mentioned above, brine your meat for 6 to 12 hours in the fridge. Add chicken stock to the pot, and bring it to a simmer. Once the stock is simmering, add the cinnamon, cardamom, one tablespoon of salt and allspice. Once you have added the spices, add bulgur and then cover the pot. Allow the bulgur to simmer gently for 15 minutes or until the bulgur has absorbed the liquid. Once this is done, switch off the heat. Meanwhile, heat a frying pan to medium-high. Fry the onions and walnuts, while stirring regularly. Once the contents are in the pan begin to colour, turn the heat off. Combine the bulgur and onion-walnut mixture together by stirring. Let this mixture cool down for five to ten minutes. Once it has cooled, add mint and a squeeze of lemon juice and then mix it together. Stuff each bird with a decent amount of the bulgur mixture. Lay the pigeons’ breast side down on an ovenproof pan. Turn the birds over and roast for another ten minutes. Turn the heat to 500 degrees and roast the birds for a final ten minutes. 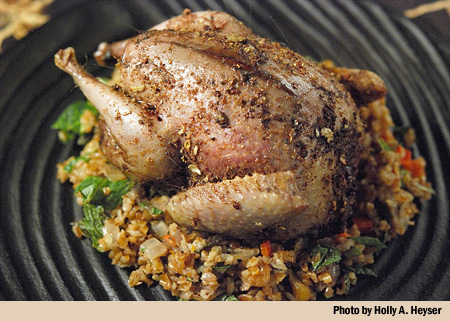 Once completed, place the roasted pigeons on a bed of bulgur. Whether you’re the hunting type or a serious foodie searching for a spin on old recipes, the above-listed recipes will surely have you mouth-watering on sight alone.